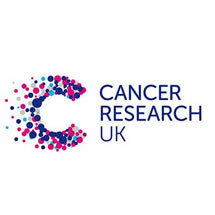 Cards for Good Causes supports Cancer Research UK, a charity that is close to many of our hearts. Cancer Research UK pioneers life-saving research, working towards the day when all cancers are cured. It is a charity that does not receive government funding for its research, relying on every pound donated, and you can help Cards for Good Causes support Cancer Research UK this Christmas. Discover the fantastic range of charity Christmas cards from Cancer Research UK, available in our pop-up shops and online.